Although fans of beauty trailblazer SEPHORA have their pick of several prime Boston locations, a new studio set to arrive July 21 on Newbury Street will be sure to please devotees and newbies alike. 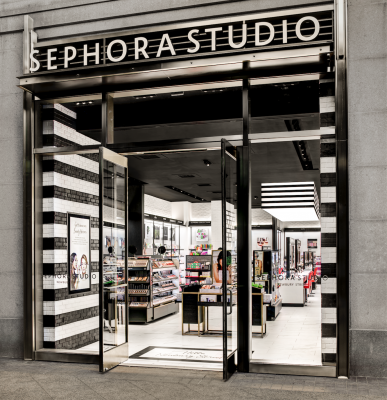 The famed shopping street will offer shoppers a fresh take on SEPHORA’s already innovative approach to beauty experimentation, play, and discovery. 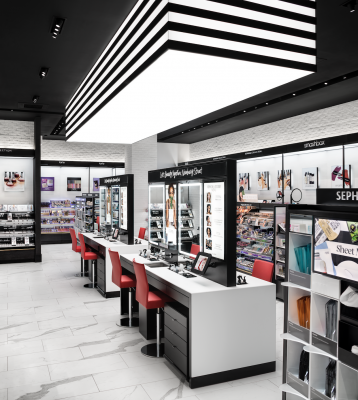 With a smaller footprint than its sister stores—just 2,000 square feet of selling space!—this urban concept SEPHORA provides an intimate shopping experience coupled with highly personalized service. Like all SEPHORA locations, Newbury Street features a unique, open-sell environment with an always expanding collection of products from select brands, emerging favorites, trusted classics, and the chain’s own SEPHORA COLLECTION. Unlike other locations, Newbury Street will feature exclusive brands local to Boston and New England in the smallest SEPHORA space in North America. Don’t let the size fool you; the newest studio will serve as a high-tech hub, integrating a variety of digital tools like self-service menu screens to aid clients in their cosmetic pursuits. Beauty advisors will come equipped with mobilized devices to check in appointments and scan and share website ratings and reviews on any product in the store. 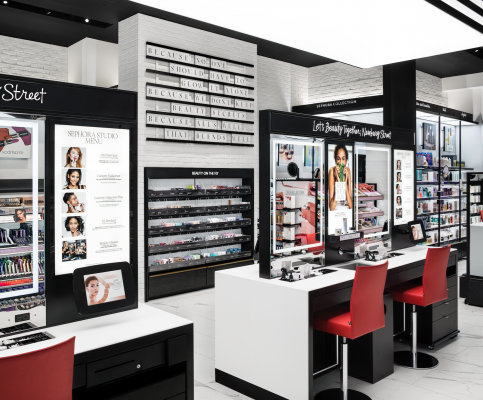 Additionally, the groundbreaking SEPHORA Digital Makeover Guide will capture a client’s product, application and look preferences from an in-store makeover and deliver the results via email for future shopping reference. Pamper yourself at The Skincare Studio with indulgences like a private, 45-minute Custom Makeover or a 15-minute Mini Facial and Mini Makeover, all of which start with a comprehensive skin consultation using the Moisture Meter and Skincare IQ quiz. If you’ve got the time, treat yourself to a Custom Makeover Plus, a 75-minute comprehensive service that will debut at the Newbury Street studio. Built on SEPHORA’s teach, inspire, and play (TIP) approach, the studio grants the opportunity to experiment and learn about top-of-the-line products. And unlike other beauty shopping experiences, SEPHORA presents unbiased assistance. Advisors don’t represent one line, so they are free to recommend the right products for each of your unique requirements. And the best part? Starting in October, the studio will feature super easy same day pickup for items not available in store. Just make your purchases on your device through the SEPHORA app and pick it up at the SEPHORA Prudential Center the same day. Makeup moguls, rejoice! The Newbury Street SEPHORA opens its doors on Friday, July 21. For more information, visit sephora.com or follow @Sephora on Instagram and Twitter.